Staff from the Sandy Lake Health Authority met with government representatives Wednesday afternoon to discuss the community's prescription drug abuse initiatives. The Select Committee on Mental Health and Addiction is a group of 8 MPP's from southern Ontario. They discussed the community's new strategy on the intervention and prevention of prescription drug abuse. 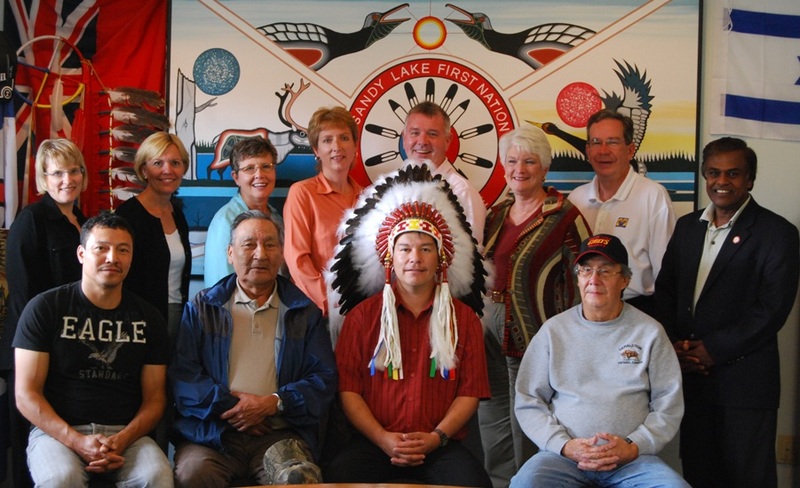 The Select Committee on Mental Health and Addiction with Chief and Council, Health Authority representatives, elders, and youth council Junior Chief.